Ramsey County is rolling out a new smartphone app that alerts people trained in CPR to any cardiac arrest incident that may be near them. 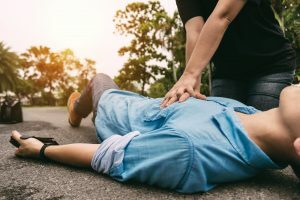 “If a citizen, a bystander can intervene and if they can find an AED, our efforts can be much more effective and we’re finally going to move the mark on cardiac arrest survivability in our communities,” said Maplewood EMS Chief Mike Mondor. 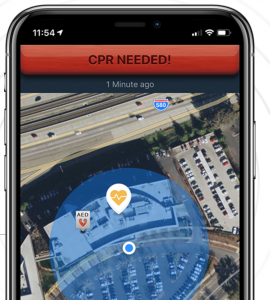 A new smartphone app, called PulsePoint, uses the phone’s geo-tracking technology to alert those trained in CPR to a nearby cardiac arrest. The app is tied into the Ramsey County 911 center to send out push notifications when a cardiac arrest call comes in. The goal is to save time. It’s about life and power, all in the palm of our hands. St. Louis Park, Winona, and Moorehead are already using this technology. Ramsey County says there were 60 cardiac arrest events in the county last year where a bystander could have made a difference in saving a life.